Hankook I*Pike RW11 265/60 R18 110T Ш.
Другие шины 265/60 R18 Ш.
Continental ContiIceContact 2 265/60 R18 T 114 4 шт. Continental ContiIceContact 2 265/60 R18 T 114 12+ шт. Gislaved NordFrost 200 265/60 R18 XL T 114 6 шт. Gislaved NordFrost 200 265/60 R18 XL T 114 4 шт. Goodyear Ultra Grip Ice ARCTIC SUV 265/60 R18 XL T 114 5 шт. Goodyear Ultra Grip Ice ARCTIC SUV 265/60 R18 XL T 114 3 шт. Michelin LATITUDE X- ICE NORTH 2+ 265/60 R18 T 114 12+ шт. Nexen WINGUARD WinSpike SUV WS6 265/60 R18 T 114 1 шт. 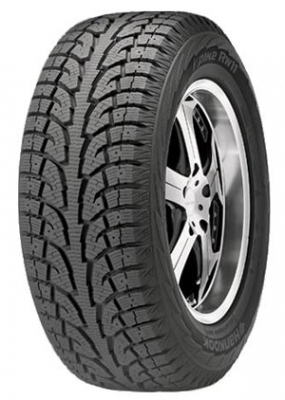 Nitto Therma Spike 265/60 R18 T 114 2 шт. Nokian Hakkapeliitta 8 SUV 265/60 R18 XL T 114 12+ шт. Nokian Hakkapeliitta 9 SUV 265/60 R18 XL T 114 12+ шт. Nordman (Нордман) Нордман 7 SUV 265/60 R18 XL T 114 12+ шт. Pirelli Formula Ice 265/60 R18 T 110 1 шт. Sailun ICE BLAZER WST2 LT 265/60 R18 T 110 1 шт. Toyo G3S 265/60 R18 T 114 2 шт. Yokohama Ice Guard 55 265/60 R18 T 114 1 шт. Yokohama Ice Guard 55 265/60 R18 T 114 2 шт. Yokohama Ice Guard 65 265/60 R18 T 114 1 шт. Кама Viatti Bosco Nordico V-523 265/60 R18 T 110 1 шт.